Home » Diabetes , Featured , Food Tips » Does eating sugar makes you Diabetic ! Does eating sugar makes you Diabetic ! High level of glucose in blood is linked to diabetes, but does eating sugar makes you diabetic ? Most of the people with history of diabetes in family tend to stay away from sugar to save themselves from diabetes. Can this step of abstaining from sugar help them in being non-diabetic ? 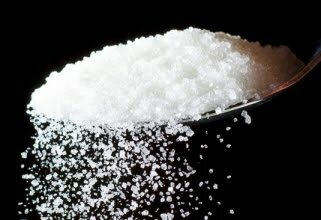 In this article betterhealthfacts.com will put some light on eating sugar and diabetes. If you are fond of eating sweet dishes then you must read this article. Does eating sugar makes me Diabetic ? The answer to this question both Yes and No. Yes, because high level of blood sugar on regular basis can make you diabetic. No, because sugar is not the only factor responsible for making someone diabetic, there are several other factors responsible for diabetes. What we miss when we connect sugar with diabetes is that sugar is a carbohydrate. High level of carbohydrate in diet means high level glucose will be created in our body. But sugar is just one carbohydrate. Lactose in milk, fructose in fruits, carbs in potatoes and uncountable other items in our diet are carbohydrates which are also broken down to glucose by our digestive system. We connect sugar with high level of blood glucose because we know that both sugar and glucose tastes sweet. But the truth is that sugar is just one carbohydrate in your diet. Even if you stop eating sugar but keep eating other carbohydrate rich foods, then you are still at risk of diabetes. The solution lies is controlling your carbohydrate intake. I am fond of eating sweet. How can i stay away from diabetes ? Its very simple, control your total carbohydrate intake. You are fond of eating sweet does not mean that you can eat sweetened foods all day. Nobody can do that. Most of us have an urge to eat something sweet at some point of day. That is no need to restrict yourself from doing so. Our body urges only for those things that it needs. Controlling your urge, unless you are suffering from some medical condition, can make you sick. We feel thirst because our body needs water for proper functioning. But keep one thing in mind that too much of anything is harmful. Even drinking too much water can cause water poisoning. So don't abstain yourself from eating sugar, but don't eat that too much. If you are fond of eating something sweet then keep it in limit and take care of total carbohydrate intake and do some physical workout on regular basis. Does exercising helps if i am fond of eating sweets ? If you don't have any medical and still your weight is increasing then either control your diet or increasing you physical activity level. Any type of exercising can help, it is not necessary to do workout for your tummy only.